"Rosestone is one of Colorados most extraordinary homes. Its 35 acre site in Bear Tooth Ranch is surrounded by open space and panoramic mountain views. 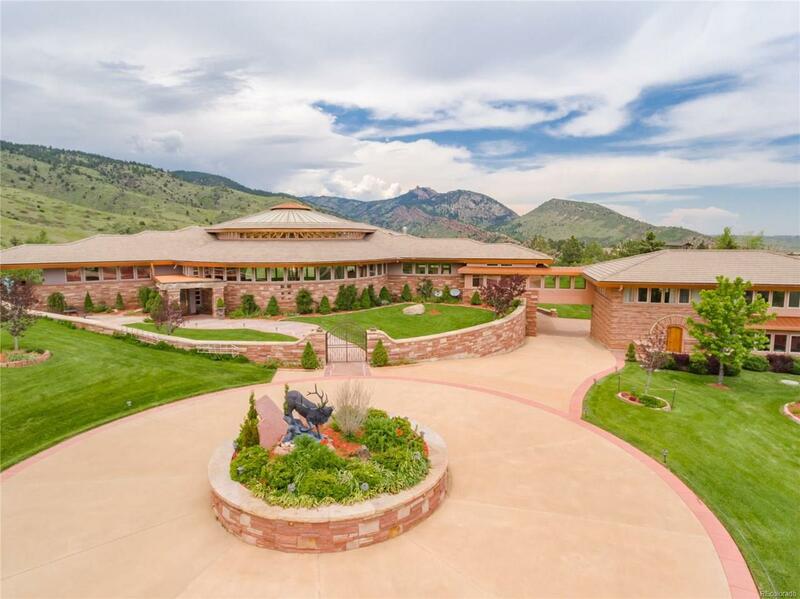 Built on a 3 acre fenced compound, this exceptional home with its attached guest house, indoor/outdoor pool, waterfall and stocked pond is the epitome of mountain living at a 6,400 ft. altitude. It is only 25 minutes away from Downtown Denver.The quality of construction and natural materials throughout make it a quintessential Colorado landmark. Its technologically advanced systems and architecturally exciting design make it a modern day masterpiece.